Yes,it is this time of the year again that so many of us cherish. 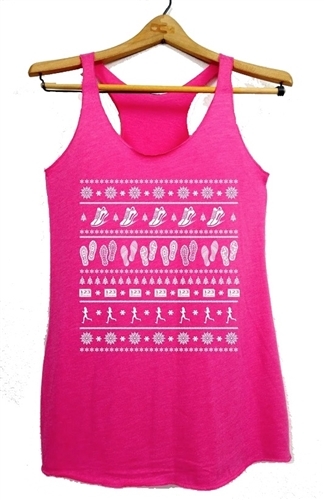 One tradition during holidays is to wear an ugly Christmas sweater and at Running on the Wall we truly love this tradition and we love to wear funny running tank top. ... and a sweater would be to warm here in AZ. :) As runners ourselves, we felt that we needed to take this tradition to the next level and create an ugly Christmas sweater for runners, that suits all our needs!. So here it is. Enjoy! Our ugly tank top ....which is actually pretty... combines the designs of Christmas with all the elements that are so important to a runner! The combination of Christmas and running logo make it a unique blend that will create some fun running conversation at the table! 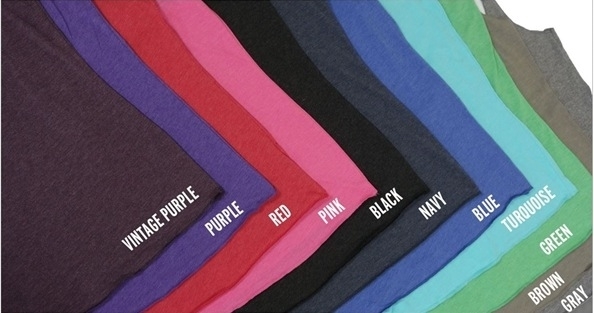 Choose from our wide color selection as well to make yours more ugly... :) You can go with a traditional red or green or be unconventional with a gray, purple, pink, turquoise, black or navy as well. Choose your style also. We offer a traditional Tee for men, a fitted shirt for women and a loose fit shirt that gives a slimming effect for the woman that wears it. 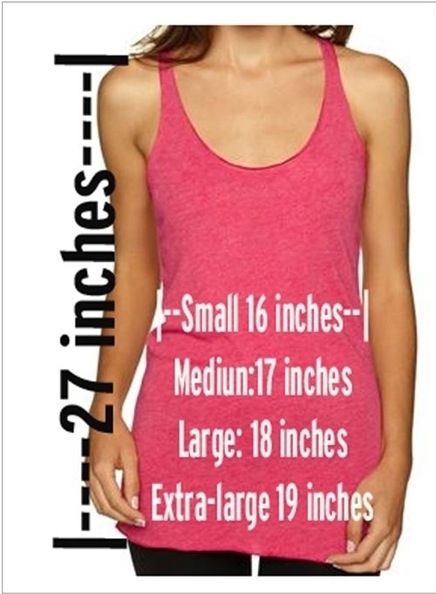 Shop now and get yourself and your running friends some funny fitness top. This shirt is also available in our virtual races, have a look at all the swags!